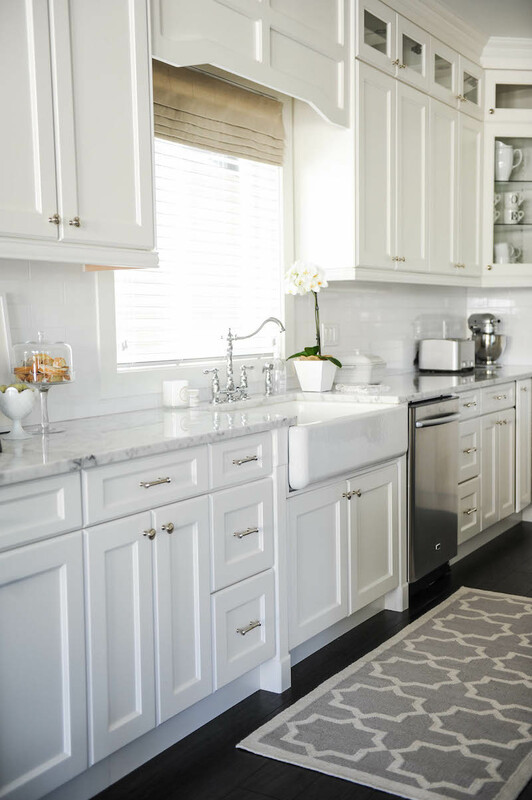 I just love the look of farmhouse sinks in the kitchen. They’re the perfect touch for any country-style kitchen. A lot of people are confused about the difference between apron sinks and farmhouse sinks. 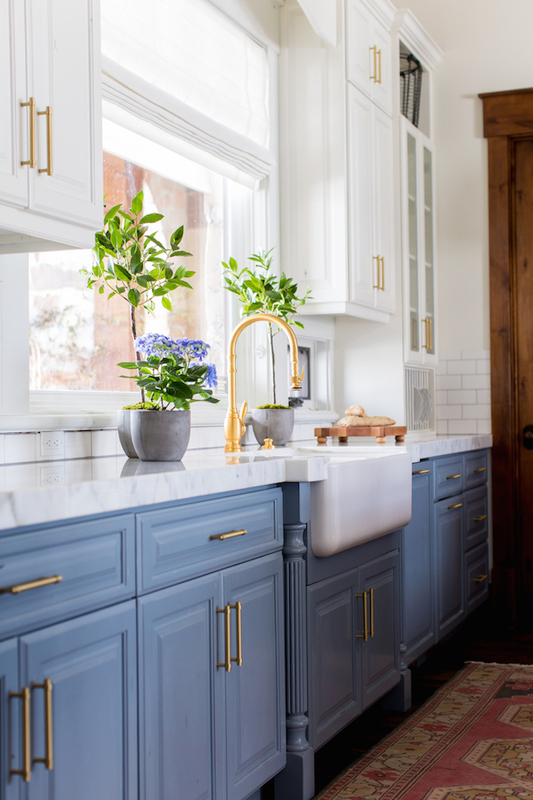 There isn’t a whole lot of visual difference, but you should know that farmhouse sinks tend to be made of porcelain or fireclay, giving them the country look, while apron front sinks can be made of more modern materials like stainless steel. Perhaps the most major different is the installation of each sink. 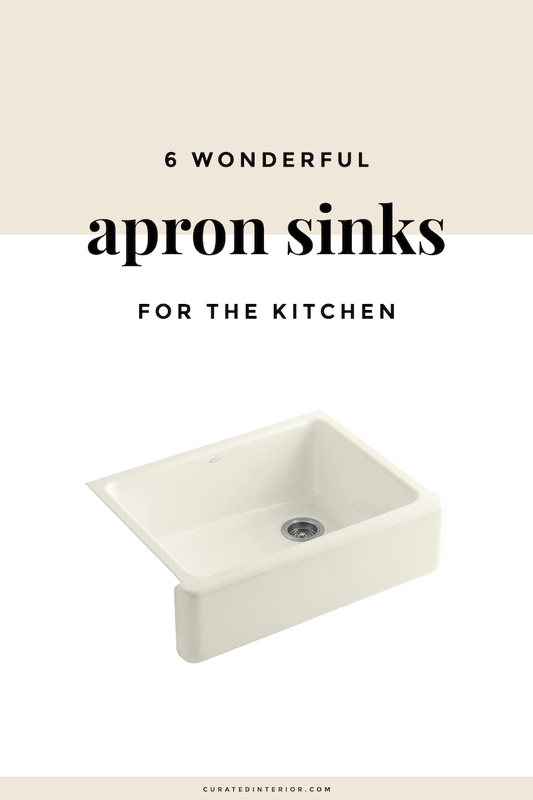 Apron front sinks have a lip that sticks out from the counter and are somewhat bare around the other three edges allowing for a slide-in installation, while farmhouse sinks could be finished on all four edges. 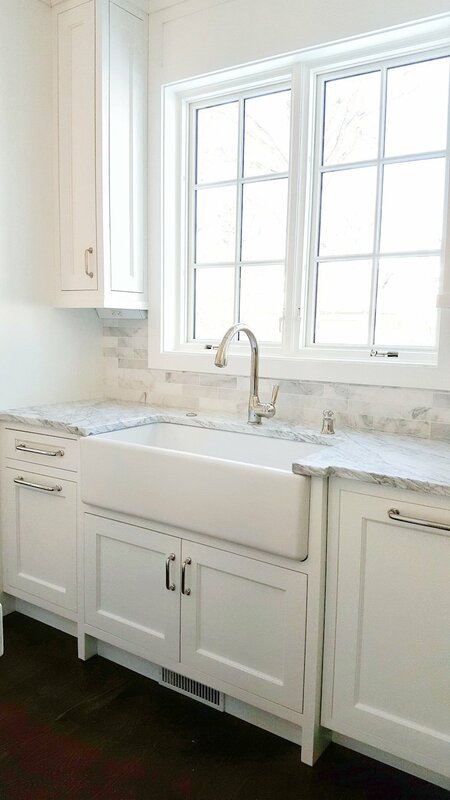 Farmhouse sinks can thus be installed either above the countertop or beneath it! 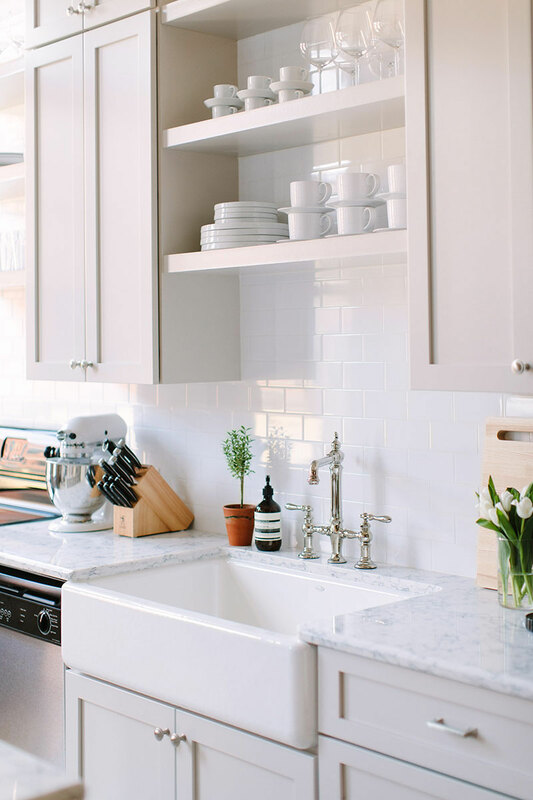 Many home owners love the beauty of an exposed front edge sink, and prefer to leave it that way as opposed to having cabinets which hide the sink. 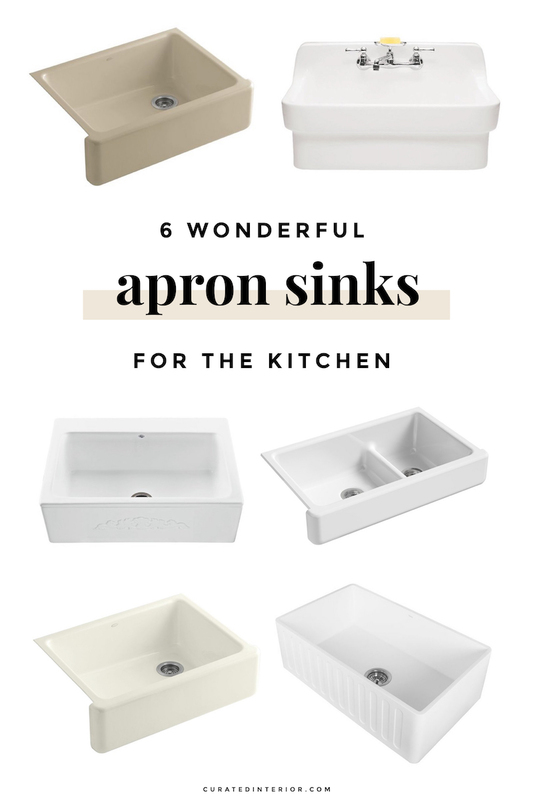 You can see below I’ve selected three farmhouse sinks and three apron sinks which I love! Click the sinks on the image below to shop! 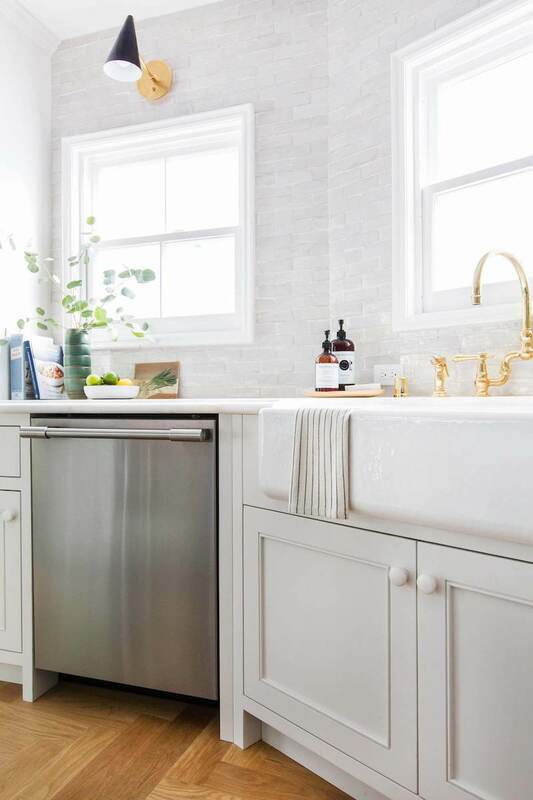 Kohler makes some really dreamy farmhouse sinks that come in more colors than just white. Above, I linked to two sinks in the “Mexican Sand” and “Almond” coloring. 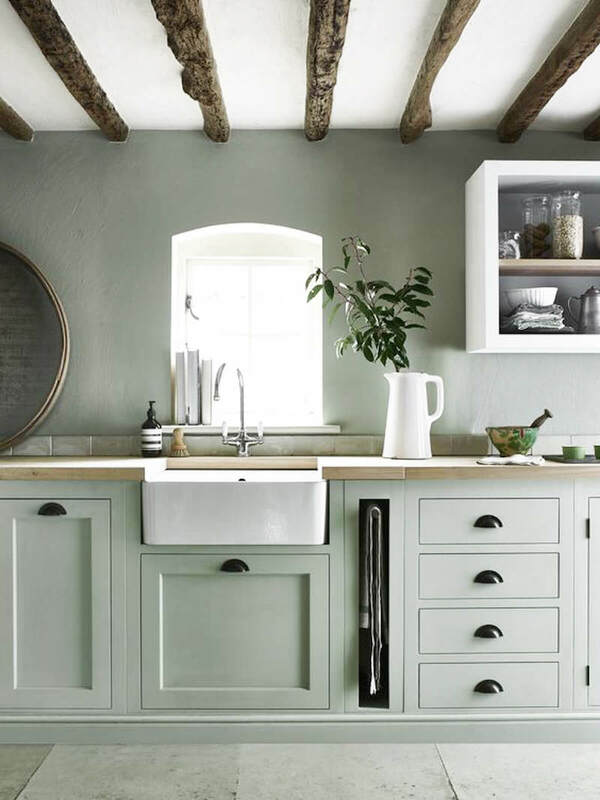 The muted hues are distinct yet calming for any country kitchen. Gorgeous! 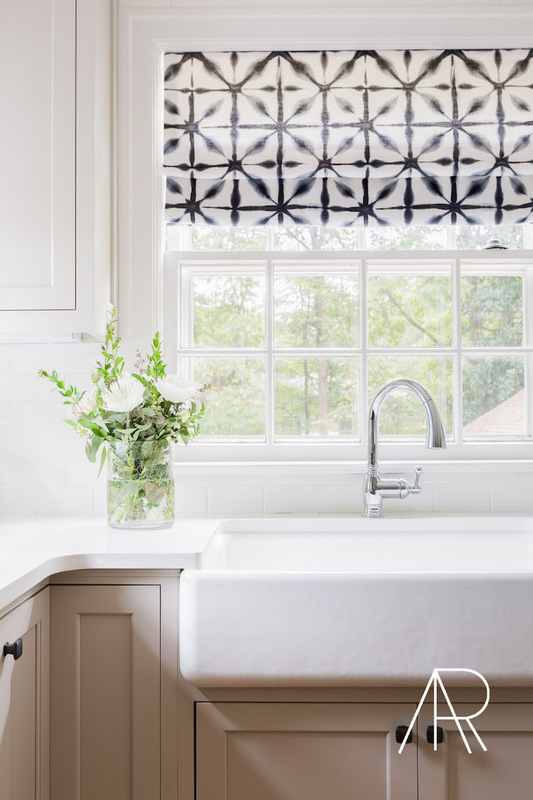 Do you have a farmhouse or apron front sink in your home?